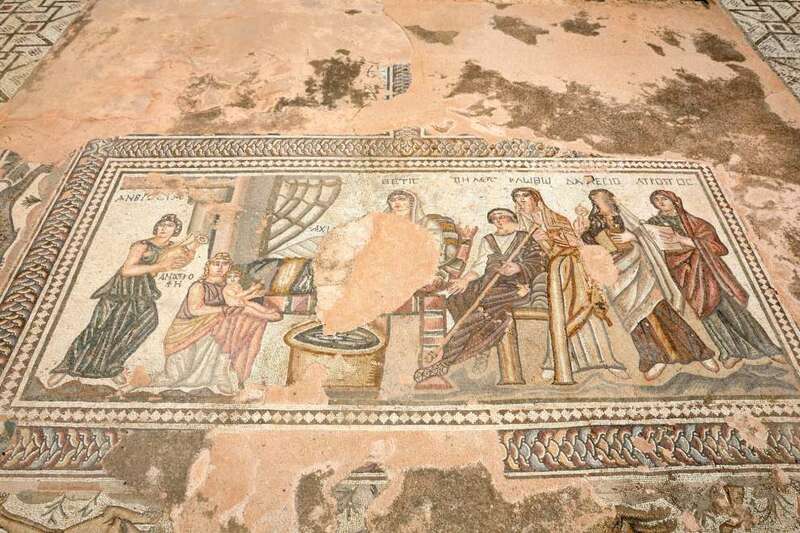 Pafos Mosaics are considered to be among the best in the Eastern Mediterranean and are part of the Archaeological Park of Kato Pafos. They were discovered in 1962 by a farmer. The houses in the area are the houses of Dionysus, Theseus, Eon and Orpheus and date from the 2nd to the 5th centuries. A.D. Their ornate mosaic floors depict scenes from Greek mythology. The House of Dionysos: It is a luxurious building of the Roman period, it belongs to the type of Hellenistic house, where the rooms grow around a peristyle courtyard, which was the core of the building. The house of Dionysus seems to have been built at the end of the 2nd century AD. and was destroyed by the earthquakes of the early 4th cent. Of the 2000 square meters of the building, 1/4 is adorned with mosaic floors depicting mythological, harvest, hunting, etc. At the entrance of the house of Dionysos there is a floor made with sea pebbles, which depicts the mythical sea monster Scylla. It belongs to an earlier Hellenistic building. The House of Theseus: It was built in the second half of the 2nd century AD on the ruins of older houses of the Hellenistic and Roman period and was inhabited until the 7th century AD. Due to its very large dimensions (it had over 100 rooms), it is considered to be the Roman progenitor's home. 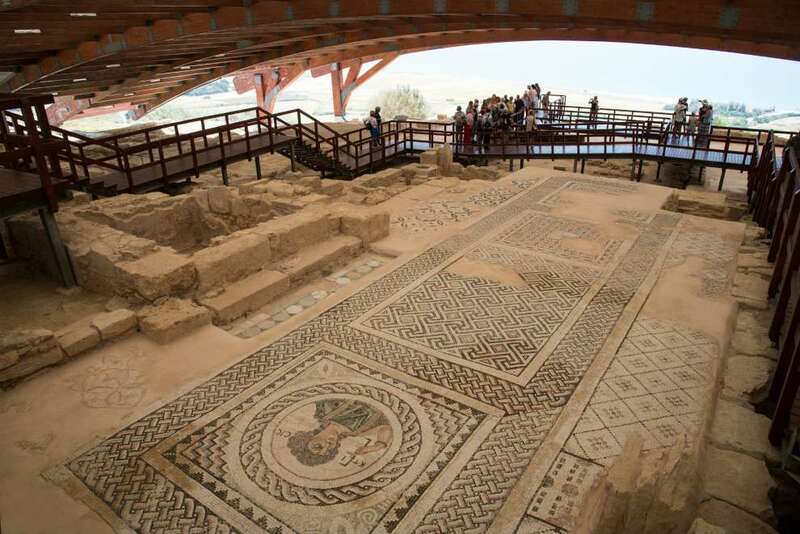 The many rooms as well as the 3 galleries around the central patio are covered with mosaic floors. Three rooms in the south wing of the building feature mosaic floors that belong to three different phases. The oldest, dating back to the end of the 3rd century or the beginning of the 4th century, depicts Theseus fighting with the Minotaur within the Labyrinth. In this mosaic, the subsequent repairs that probably occurred after the earthquakes of the middle of the 4th century are evident. 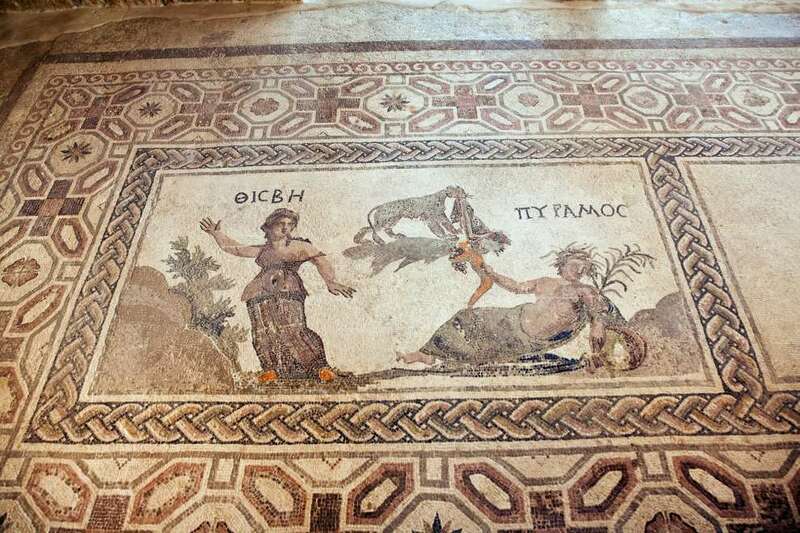 At the end of the 4th century, a mosaic floor featuring Poseidon and Amphitrite is dated. 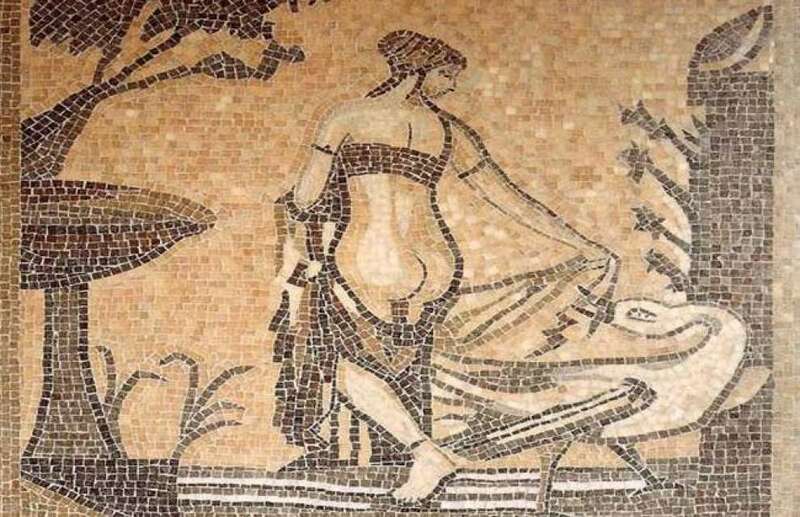 At the beginning of the 5th century a new mosaic was added to the main hall of the Theseus mansion, which depicts the first bath of the newborn Achilles. The House of Orpheus: this is a luxurious building that belongs to the type of Hellenistic house, like the house of Dionysus. It dates from the end of the 2nd to the beginning of the 3rd century AD. It also has large mosaic floors. The most important mosaic depicts a representation of Orpheus among the animals. Other mosaics of the same house depict Hercules and the lion of Nemea and a Amazon with a horse. The House of Eon (Aion): only a part of the house of Eon (Aion) has been excavated so far. On the floor of the arched reception hall is the most spectacular mosaic of Pafos dating back to the first half of the 4th century AD. 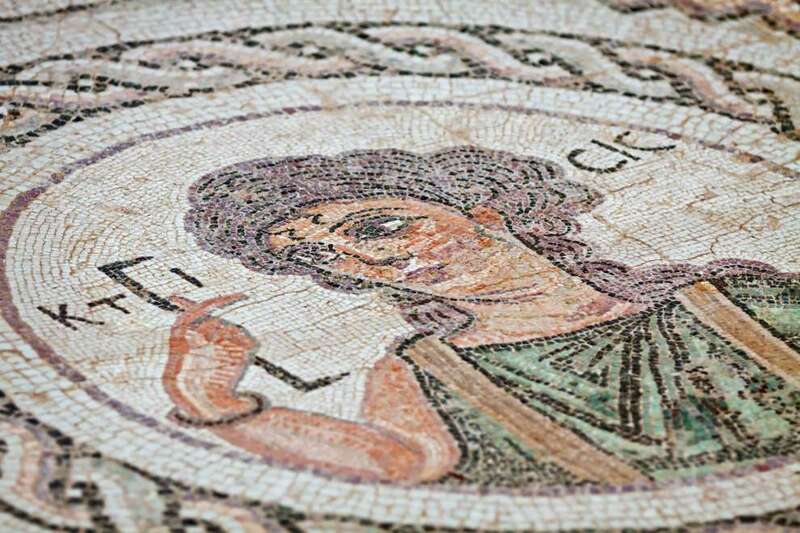 The high-quality mosaic includes 5 paintings depicting the newborn Dionysus, Leda and Kyknos, the beauty contest between Cassiopeia and the Nereids, Apollo and Marsya and the triumph of Dionysus.